Garuda Panchami is dedicated to Garuda, the vehicle or Vahana of God Vishnu. It is observed on the fifth day of the waxing phase of the moon (Shukla Paksha) in Shravan month and is of great importance to many Hindu communities. Garuda Panchami 2019 date is August 5. The puja and vrat associated with Garuda Panchami observed by women for the welfare and good health of their children. Naga Panchami is also observed on the day. Legend has it that the day remembers Garuda’s love and devotion for his mother Vinita. Thus the day celebrates mother – son relationship. In some regions, married women observe it for a happy married life. Garuda Panchami Puja is mainly observed by certain Hindu communities in Andhra Pradesh, Telengana, Karnataka, Gujarat and Maharashtra. 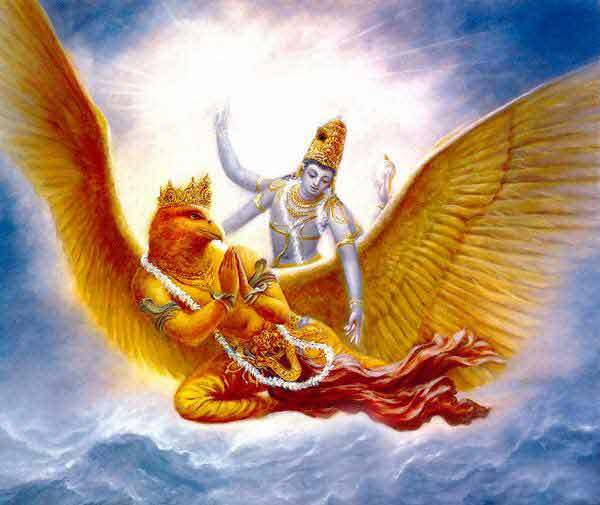 Garuda, the eagle, is the vehicle of Lord Vishnu and occupies an important position of Dwarapalaka and subsidiary deity in most Vishnu temples.